Many New York City residents rely on services like taxis and ridesharing companies to help them get around. This saves time, money, and the hassle of owning and driving a car – but it also puts you at the mercy of your driver. New Yorkers sustain injuries each year in accidents involving Ubers, Lyfts, and taxis. If you’re dealing with medical bills, lost wages, or fruitless conversations with insurance companies following an accident, you have legal options. Contact the attorneys at Frekhtman & Associates and learn if a negligent party owes you compensation for your medical bills, lost wages, pain, and suffering. Accidents with taxis and accidents involving ridesharing companies are different in terms of liability. Taxi companies carry liability insurance and filing a claim is generally easier. If you are a passenger in a taxi and you’re involved in an accident, you don’t have to prove the driver was “at-fault” for your injuries. 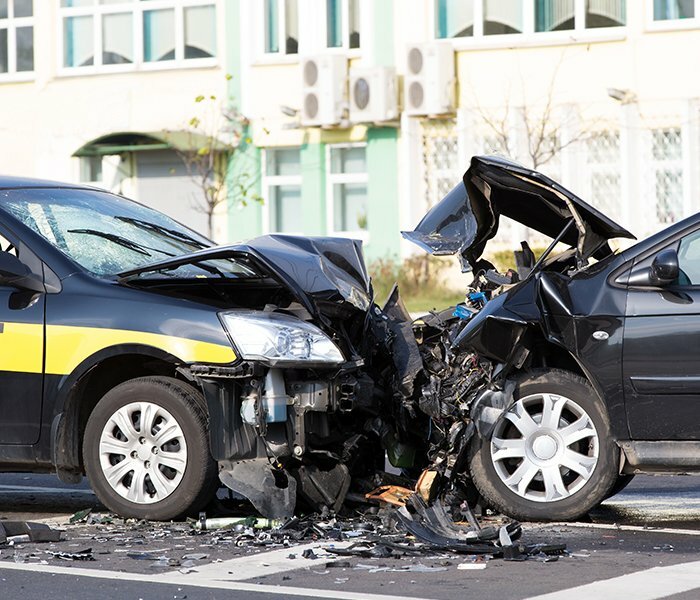 If the taxi hits another car, you can file a claim against both drivers’ insurance companies to pay for damages. If you’re driving and hit a taxi cab, it functions much like a two-car accident case. To file a claim to pay for damages, you must prove the taxi driver is at-fault for your injuries. In either case, it’s essential to hire an attorney to help you with this process. Insurance companies pay as little on a claim as possible and will likely give you a lowball offer. Getting an attorney involved shows you’re serious about receiving compensation, and we can negotiate on your behalf to achieve a fair settlement. If you’re involved in an accident with a taxi, we recommend seeking immediate legal advice. Ridesharing companies work a little differently. While Uber and Lyft require drivers to carry certain insurance limits while actively transporting a passenger, they also try to shield themselves from liability by hiring their drivers as independent contractors, not employees. When an Uber driver is off-duty, they use their own insurance, which is likely not enough to cover medical bills and lost wages in the event of an accident. Hiring Uber and Lyft drivers as independent contractors helps distance the companies from their drivers’ actions. This makes liability murky. For this reason, accidents involving Uber and Lyft drivers requires a knowledgeable hand. Contacting Frekhtman & Associates as soon as possible following your accident will help maximize your chances of gaining fair compensation for your injuries. Like any accident, your first step should be to seek immediate medical attention. This not only gets you on the road to recovery, it also creates an official medical record of your injuries. When you’re feeling better, ask to add a statement to the police report. While police reports are often inadmissible if a case goes to trial, both insurance companies and attorneys use them to try to piece together what happened after an accident. Having your version of events in an official police report could prove valuable to your case. Next, schedule a free initial consultation with the personal injury attorneys at Frekhtman & Associates. Let us provide a free and informative review of your legal options following an accident.